Direct Admission is the process Where the students are provided with Direct admission in Top BBA Colleges in India as per their Academic Score Like 10th Class Marks ,12th class Marks and Entrance Exams Score. All Direct Admission in BBA are been provided to the students as per being an associate channel partner of all top BBA colleges in India and as per the Requirement Eligibility and Guidance of Admission in Top BBA colleges India direct. BBA – ” Bachelors of Business Administration ” is an undergraduate management programme ,3 years in duration also known as ” Bachelors Degree “Course.In a BBA course, a student gets to understand an introduction to various basic principles of management, Business world about its functioning and operations through which students achieve a strong grounding in the field of management studies.BBA programme is again divided in to 2 semesters per year by the university (state / central / Deemed). In fact to bring out a confidence in the students personality. There are also some specialized sessions on personality development and soft skills including business communication. 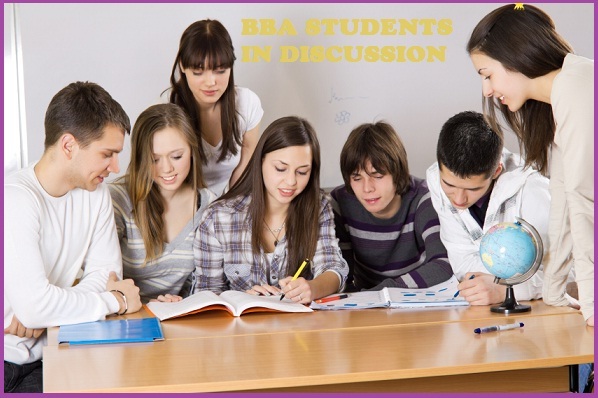 Some Admission BBA colleges India direct also provides all contemporary management tools. And techniques among other elements of an efficient manager and a sensitive human being. Students opting different streams in Class 12th like Science,Commerce,Arts can apply for Direct Admission in BBA colleges in India.Students willing for Direct admission in BBA should have have passed 10+2 (or its equivalent) examination from a recognized Board / University. Candidates appearing in qualifying examination those who are awaiting their results(10+2) are also eligible to apply. Students after completion of the BBA course can even opt for post graduation course like MBA/PGDM and even apply for jobs in both of the companies like National and international (MNC`s) as these companies Favor BBA students as their employee for managing their work.